Last weekend, Natalia Poklonskaya bound herself by marriage with the head of the Office of the Ombudsman for Human Rights, Ivan Solovyov. It is noteworthy that the politician did not advertise his personal life before. Natalia Poklonskaya is happy to talk about her political and social life, but she keeps her personal secret. It is known that the 38-year-old politician brings up daughter from previous relationships, but she prefers not to advertise her men. So, the news of the secret wedding of Natalia was a surprise for everyone. The elected former prosecutor of the Crimea, and now a deputy of the State Duma, was 47-year-old former investigator Ivan Solovyov. In order not to make a fuss about the celebration, the newly-made spouses decided to hold a modest rite in the circle of the closest. 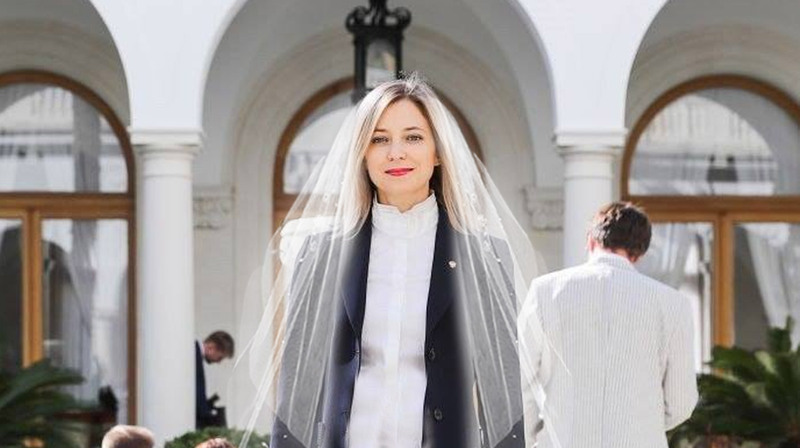 For the ceremony, Poklonskaya chose a refined white dress, complementing the image of the bride with a traditional veil, and the groom - a classic costume. The celebration was held at the elite Serbian restaurant "Balkan Grill", which is located in the resort village of Beregove on the southern coast of the Crimea. The banquet cost at 90 thousand rubles, 32 guests attended the celebration. They enjoyed the dishes of Serbian cuisine and seafood. 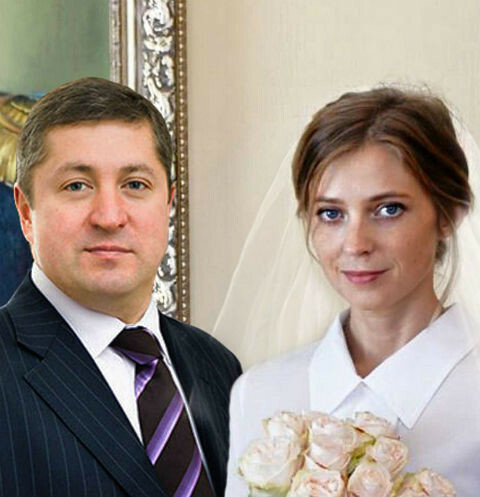 It is also known that last summer Poklonskaya parted ways with her beloved Andrei Krasilnikov, whom she even called her husband. Later, Natalia admitted: their relationship was not official, but the status of a married woman helped her scare off the annoying fans. Krasilnikov did not obstruct the former lover and recently visited the Spiritelnitsa Khlebov monastery, which is located in the small town of Sredneuralsk. Here, Andrei met with Father Sergius, who once crowned him with Poklonskaya. This was done so that Sergius debunked the former couple. Despite the parting, Natalia and Krasilnikov managed to keep a warm relationship. The current deputy of the deputy, Ivan Solovyev, formerly worked as a senior investigator for particularly important cases of the Investigation Department of the Main Investigation Department of the Federal Tax Police Service, and several years ago he moved to the office of the human rights commissioner in the Russian Federation. Poklonskaya, after living ten years in the Crimea, four years ago rose to defend the republic. During the events on the Independence Square Natalia filed a report on the dismissal, but after a couple of weeks she took the post of prosecutor of the Autonomous Republic of Crimea. Now the woman is a member of the "United Russia" faction. In her spare time, Poklonskaya plays the piano and works out. The deputy carefully keeps fit, repeatedly admitting that "the prosecutor must be fit, beautiful, in good physical shape - this is an officer." But the details of the wedding Natalia did not share with the fans, nor with the Daily Storm.